By far the prettiest shop in LA. I stumbled upon this pink gem one summer afternoon. I was making my way home when I decided to stop by for some refreshing boba. The first time I went I ordered the thai milk tea with boba. But soon after I discovered their ceremonial matcha, and as you can imagine became OBSESSED. Ever since I have become a match addict. 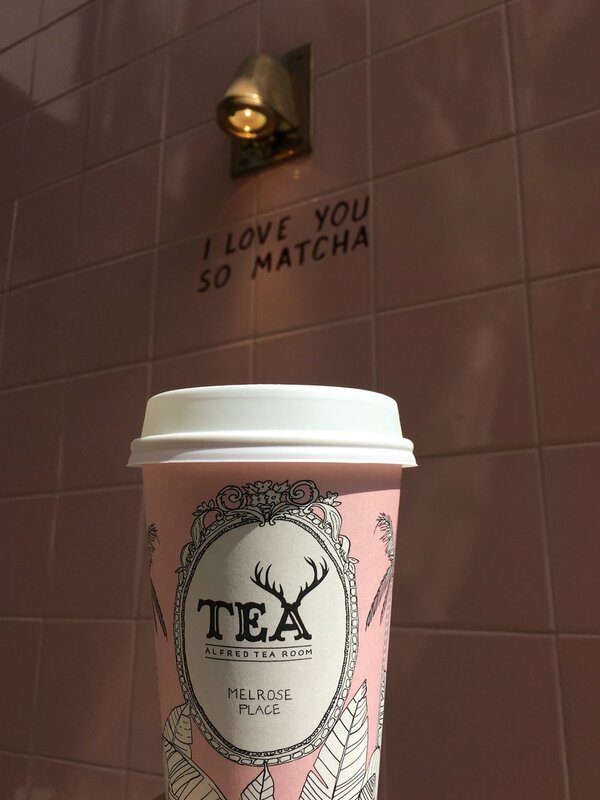 Matcha latte, Iced matcha you name it, anything with matcha is my thing. Even their Matcha Almond croissant is delicious! This pink room is by far my favorite café in LA. I feel like a kid in a candy store every time I walk in. If you find yourself in the Beverly Hills or West Hollywood area, make sure you stop on Alfred Street for a tasty cup of tea. "Can't we all just get oolong!" Matcha Latte with Coconut milk.